John Miller (born August John Mueller) was one of the most ingenious and influential roller coaster designers in the world. Miller was born in 1872 in Homewood, Illinois. At the age of 19, he went to work with the American inventor and businessman, LaMarcus Adna Thompson, who had invented and patented some of the earlier versions of roller coasters and built the first American roller coaster at Coney Island, New York. Miller was an untiring worker; he learned the skills of the trade and then went on to design his own rides as well as adding and improving several features in existing roller coasters. Thompson immediately recognized Miller’s talent and soon made him his chief engineer. Miller was a designing genius – he is said to have built as many roller coasters in a year as others would have done in their entire careers. He also added features that were unheard of before his time. 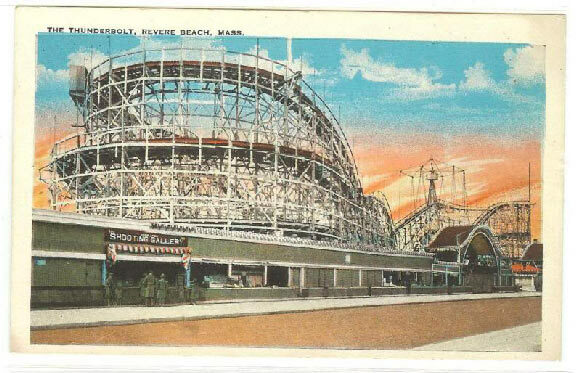 Even the fastest roller coasters at that time operated at no more than 20 miles per hour, but due to Miller’s innovations, not only was the speed significantly increased but the rides became steeper, higher and more adventurous. The average height of roller coasters before him was between 20 and 40 feet, but Miller designed rides up to and above 80 feet high, with sharper turns, and more extreme highs and lows. He also contributed to roller coaster safety and designed a number of safety enhancing features. The most important of these was a device that prevented cars from rolling backwards on a steep climb, even if the pull chain were to break. This device was invented in 1910; it was attached to the track and latched on to the rungs of the chain. It was known as the “safety chain dog” or “safety ratchet” and this is what made the familiar clinking noise as the roller coasters moved along the tracks. Another major contribution came in 1919, that is, the “underfriction wheel” or the “unstop wheel”. This was a wheel that ran under the track and kept the compartments from going off the rails. It allowed roller coaster designers to add steeper and sharper turns without the danger of the cars falling down or upturning. These devices are found on nearly every roller coaster in the world today. Miller also invented and patented many types of brakes and bar locks to keep the rider safely in place. Miller often collaborated and worked with other famous designers such as Frederick Ingersoll and Fred and Josiah Pearce. In 1920, he went into business with Harry C. Baker, forming a company called “Miller & Baker, Inc”. They built many popular roller coasters all over America, as well as other rides such as “Mill Chutes”. In 1923, Miller went into business on his own and started “The John Miller Company”. Here he produced some of the best roller coasters of the time such as “The Jazz Ride” and “Flying Turns” – each more thrill inducing than the other. His most legendary roller coaster was called “The Cyclone”; it was operational between 1928 and 1958 at Puritas Spring, Colorado and is now deservedly placed on the Smithsonian Institution’s list of Great Lost Roller Coasters. Overall, John Miller himself designed or contributed to the design of over 140 roller coasters all over America. He held more than 100 patents related to roller coaster and amusement park technology. He worked actively until the end of his life and when he wasn’t designing, he was touring the country to inspect the safety and adequacy of roller coasters that he had built nationwide. He died on June 24, 1941, in Houston, Texas, at the age of 69 and is buried at the Homewood Memorial Gardens in Illinois.